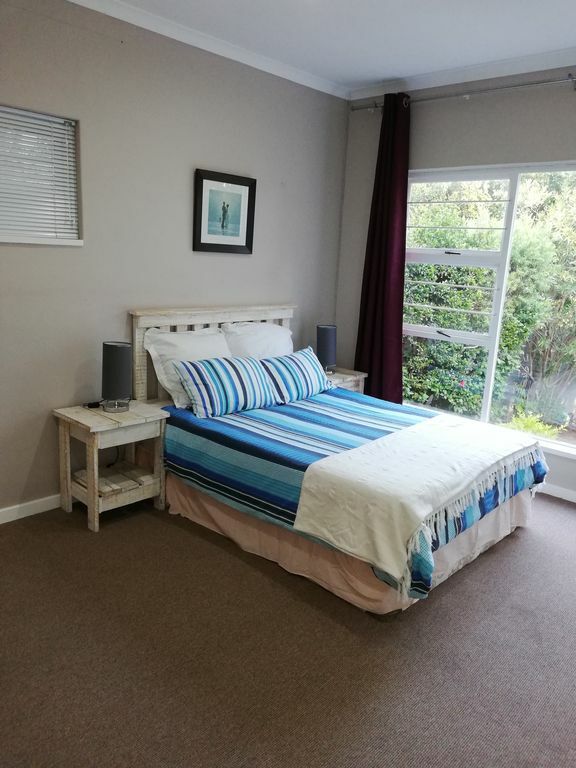 Self Catering accommodation centrally located in Somerset West. Whether you require accommodation for a family holiday or for business, we have all your needs covered! We offer secure self-catering accommodation behind a remote-controlled security gate. This modern unit is private and very spacious with its own separate entrance and is fully equipped for short or long-term stay, no need to bring anything! The unit comprises of a full kitchen, lounge with TV and DSTV, separate bedroom with a huge en-suite bathroom with toilet, basin and shower. There is a double bed as well as 2 single beds, so suitable for a couple or a family of 4. It has its own private garden with braai facilities. We are centrally located in Somerset West and a short drive to the Malls, Strand and Gordon’s Bay beaches and Stellenbosch Wine Route (N2 and R44). The unit is directly opposite a huge bike park with a mountain bike track as well as tennis courts.